Casual clothes tea ceremony in Kyoto by MAIKOYA. Traditionally the tea ceremony is best enjoyed by wearing kimono but we allow travelers to join the activity by wearing casual clothes. So you can still experience this superb cultural ritual in the heart of the ancient capital without changing clothes. We celebrate our most recent award from TripAdvisor as Japan’s Top Experiences, 2018, chosen by travelers’ reviews. We are the only tea ceremony venue in Japan receiving this award. The tea ceremony is held in the traditional Japanese room conveniently located in central Kyoto, walking distance from Kawaramachi, Nishiki Market and the Gion area. All the explanations are done by our friendly staff in plain English. The ceremony itself takes no longer than 40 minutes and you can get done with everything within an hour. Our staff will explain the symbols and meanings in the tradition and then you will make and drink the Japanese matcha tea in an appropriate way led by the host. You will make a green tea (Matcha) in an ancient style tea ceremony room. Japanese Tea Ceremony Workshops are held at the Edo-style Room of Maikoya Kyoto. In this workshop, a qualified instructor will walk you through step by step of traditional tea ceremony. This is a ritual-like activity where ceremonial tea is prepared and presented to promote well-being, mindfulness and harmony. It is also called the Way of the Tea. The tea itself is a powdered green tea and is called Matcha. Learning about a country through cultural workshops and activities will give you a better understanding of our intricate history, valued social principals and holistic way of life. By learning about Japan and its people, you will be immersed in different perspectives and approaches that are unique to this country. Maikoya offers you opportunities to understand this culture through local instructors and guides. There is no better way to learn about a new place from the viewpoints of those who grew up and live in this amazing country. What better way to spend a day than learning a traditional, beautiful new activity with a knowledgeable tutor in a picturesque setting? You wouldn’t find friendlier people to help you experience Japan in all its splendor. What can you expect in this Tea Ceremony Workshop? We show off cultural activities with a difference! Opportunities for taking photographs will be highlighted throughout. 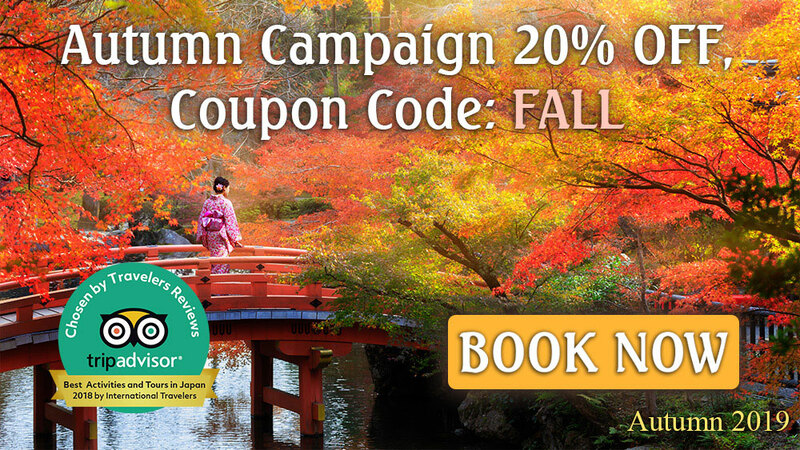 Learn Japanese culture with all of your senses – especially your your own of wonder! ***Children must be accompanied by an adult *** Please let us know if you have any food allergies, Halal, vegan or vegetarian preferences. We are a cultural experience venue located in the heart of Kyoto, the cultural capital of Japan. We pride ourselves on providing authenthinc experiences in Kyoto. Founded on the four main pricinples of tea ceremony (Harmony, respect, purity and tranquility) Maikoya has gained recognition among both locals and foreigners. Maikoya also recently has been selected as one of the best tea ceremony venues in Japan by Tripadvisor. Learning about a country through cultural workshops and activities will give you a better understanding of our intricate history, valued social principals and holistic way of life. By learning about Japan and its people, you will be immersed in different perspectives and approaches that are unique to this country. Maikoya Kyoto offers you opportunities to understand this culture through local instructors and guides. There is no better way to learn about a new place from the viewpoints of those who grew up and live in this amazing country. What better way to spend an afternoon than learning a traditional, beautiful new art form with a knowledgeable tutor in a picturesque setting? You wouldn't find friendlier people to help you experience Japan in all its splendour. We are located near Honnoji temple. 1. Do you accept walk-ins? Yes, we accept walk-ins. However, it is chepaer to book online and you may need to wait if you show up without a reservation especially during the peak season. 2. Do I need to wear a kimono? Traditional tea ceremony is usually conducted by wearing a kimono but since you may simply not be interested in it or you may be pregnant (earlier than 3rd trimester OK) we don’t require you to wear a kimono. 3. Do I need to sit on my knees all the time or I can sit comfortably? Can I sit on the chair? Yes you can sit comfortably without sitting on your knees. Yes we do provide chairs and desks if you need. 4. What is the etiquette for tea ceremony? Please remember to --take your shoes off, --be quiet and not talk to your partner throughout the ceremony, —not use your cell phone (we allow photos before and after) but ideally you should forget worldly and materialistic thoughts. 5. Do you have kimonos for kids? Yes, we do have small size kimonos for kids. Just let us know the age/height of your child in advance. 6. Do you have plus size kimonos? Yes we do have extra size kimonos. If you are a plus size please let us know when you reserve about your size. 7. Can I walk outside wearing the kimono for the rest of the day? Yes! 8. Do you provide any hairdo services? Yes (for females), we will make sure you look your best and your hair matches the traditional kimono style. 10. Do you have a souvenir shop where I can get matcha tea, tea ceremony set, calligraphy set, etc. to remember my experience?. Yes we do. 11. Where can I buy a kimono? We can recommend you a few nearby shops that sell 2nd hand, upscale and economy kimonos, yukatas, samues and hakamas.